Learning and practicing number and counting skills can be considered as one of your child’s developmental milestones. Your child will definitely learn their numbers in places like our Preschool Center, but there are many things parents can do that can help their children with their 123’s. A great way to teach your children how to count as well as the value of money is by allowing them to be in charge of paying the cashier. You can guide them to make sure that they are giving the exact amount. For example, when you are arranging your child’s toys or furniture, have your child assist you by asking them to count and keep track of how many things must be put away and the things that have already been arranged. There are many afterschool programs that can be very beneficial for your child even in terms of numbers and counting. There are many clubs that deal with numbers and counting, such as music or math clubs. We also provide After-School Programs in Liberty Hill TX that can help supplement and promote your child’s learning. 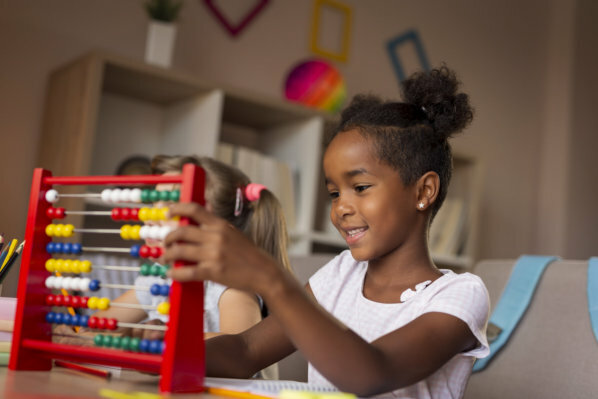 As a Child Care Provider in Liberty Hill Texas, our programs will teach your child their numbers and counting in a fun, safe, and enjoyable environment. This entry was posted in Child's Learning and tagged Afterschool clubs, Counting Skills, Organizing things. Bookmark the permalink.